March 23, 2016, New York, N.Y. — On the heels of President Obama’s historic trip to Cuba and relaxed travel restrictions to the island nation by the U.S. government, Metrograph in New York will present the U.S. theatrical premiere of Sin Alas (Without Wings), on May 4. One of the first American productions to be shot in Cuba in over fifty years, Sin Alas immerses the viewer into a lush dreamscape of Cuban history from pre-revolutionary times to the modern realities of contemporary Havana. The film will also be available nationally on Amazon and iTunes on May 4. Directed by Ben Chace (Wah Do Dem), Sin Alas is an epic love story set against the rich social fabric of Cuba’s past and present. The film centers on a story of lost love between Cuban writer Luis Vargas and a famous dancer named Isabella Munoz. 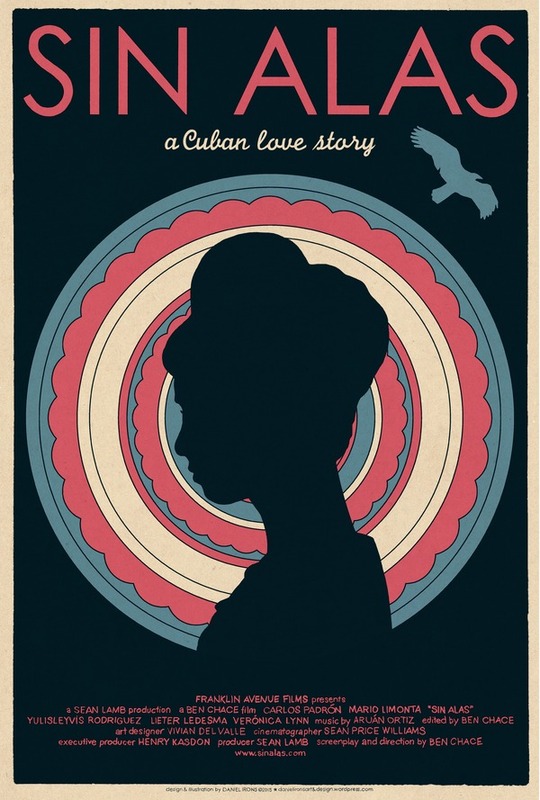 The trajectory of Luis’ life unfolds against the backdrop of modern Cuban history, from his roots in the idyllic countryside town of Hershey, Cuba, where his father worked for the American chocolate giant, to his current urban existence in Havana struggling to keep a small family together amidst economic and emotional hardships. Rhythmically punctuated with an original Afro-Latin score by Aruán Ortiz, this subtle and beautiful film explores the country and the emotional lives of its characters through a sumptuous collage of memories, places and people. Sin Alas is inspired by Argentinian writer and poet Jorge Luis Borges’s short story The Zahir and was shot on 16mm by Sean Price Williams (Heaven Knows What, Listen Up, Philip.) The film was shot on location in Cuba with an all-Cuban cast. Central Havana locations include The Palermo Bar, The Museum of the Revolution, The Hotel Astor, The Plaza and Church of San Judas Tadeo and The Teatro América, and scenes were also shot in the countryside town of Hershey, Cuba which was built in the 1930’s by the Hershey Chocolate Company. Sin Alas (United States, 2015, 84 min.) Directed, Written and Edited by Ben Chace. Produced by Sean Lamb. Cinematography by Sean Price Willaims. Original music composed by Aruán Ortiz. Executive Producer, Henry Kasdon. Featuring Carlos Padrón, Mario Limonta, Yulisleyvís Rodriguez, Lieter Ledesma, Verónica Lynn, Adael Rosales and Camila Arteche.